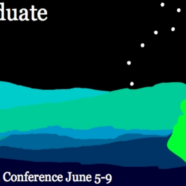 Applications for the 2017 Astrobiology Graduate Conference (AbGradCon) are now open. This year, the conference will be held at the National Radio Astronomy Observatory in Charlottesville, VA from June 5 – June 9. AbGradCon provides a unique setting for astrobiologically-inclined graduate students and early career researchers to come together to share their research, collaborate, and network, without the presence of senior researchers and PIs. AbGradCon 2017 marks the thirteenth year of this conference. Conference attendees will share their research over a period of two days. Attendees have the option of presenting a 15-minute talk or presenting a poster. Topics to be covered include astronomy, astrochemistry, exoplanet research, planetary science, geology, atmospheric chemistry, geobiology, computer science, origins of life research, and aerospace engineering, and everything in between. The conference culminates on the third day with attendees participating in an educational field trip. Applications from exceptional senior undergraduates who will be attending a graduate program in Fall 2017 are welcome to apply. In addition, a virtual Undergraduate Poster Competition will be held for other all other interested undergraduates, with at least one winner chosen to attend the conference as a fully-funded participant. Lastly, an optional Proposal Writing Retreat (PWR) will be held from June 2 – June 5 at the Green Bank Observatory, 2.5 hours away from Charlottesville. Participants in the PWR will work in teams to conceive and write a NASA research proposal which the entire workshop will peer-review. Past years’ participants have lauded the PWR as one of the best (and perhaps most challenging) professional development experiences they have participated in. In addition, participants can expect to enjoy hiking on the numerous on-site trails in their free time while writing research proposals in teams. The winning team will present in the conference later in the week.